GUMBO YA YA! 30 YEARS ON. Gumbo Ya! Ya! packed out Sunday afternoon residencies and venues playing to capacity crowds who couldn’t get enough of the high energy R&B this seven-piece outfit was dishing up. Later supports to musical legends BB King, Joe Cocker and Ray Charles cemented the reputation of Gumbo Ya! Ya! as one of the most respected and entertaining bands in the country, resulting in appearances on national radio and television shows including Hey! Hey! It’s Saturday! To this day, their live shows remain the hallmark of their popularity. Thirty years on and the band is Still Kickin’ Still Cookin’! 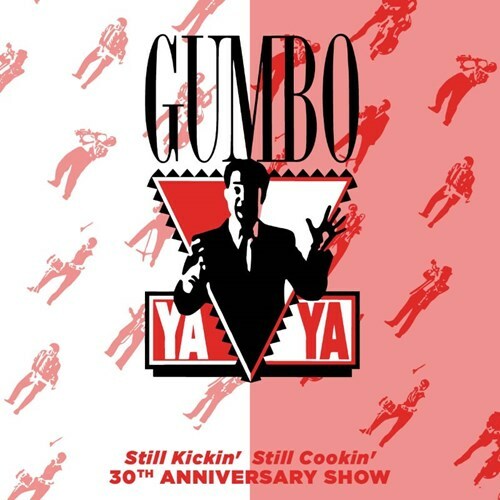 Guests at The Arkaba will enjoy a special reunion performance by the original line up, followed by the Gumbo Ya! Ya! of today which sees a few new players joining original members, and a slightly different sound that has evolved with the band over the years. But one thing that has never changed is the raw energy and excitement that ‘Gumbo’ shows are known for. *Dance floor is open, very limited seating available.